Will 2019 Be The Year You Reconnect With Your Doctor? Here we are just a few weeks into 2019 and we have to ask, how are those New Year’s resolutions going? 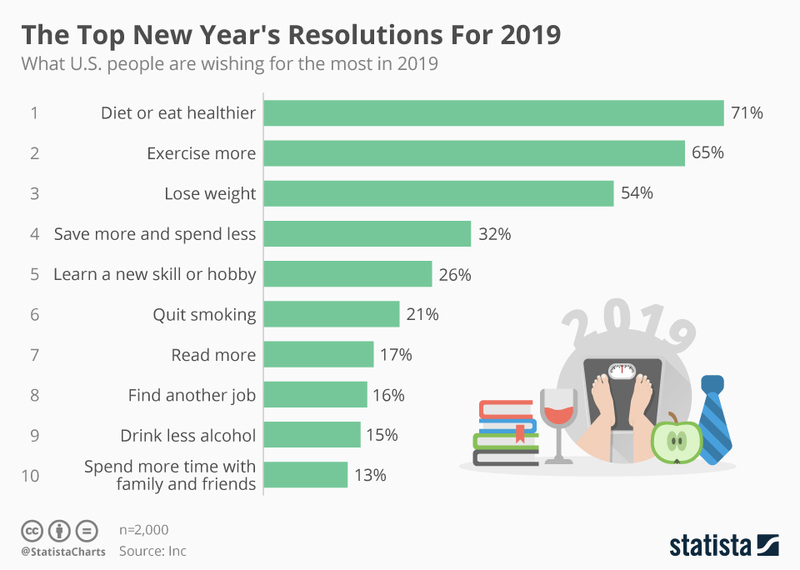 This new year, 71% of Americans are looking to improve their diet, 65% hope to increase the time they spend exercising, 54% want to shed a few pounds, and 36% of people are pledging to either stop smoking or drink less alcohol (according to statistica.com). We have to admit, we’re extremely proud of all these Americans resolving to prioritize their health in 2019! 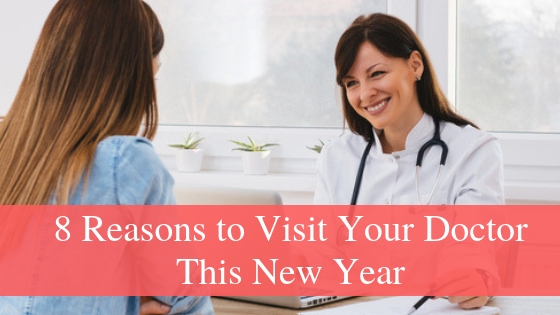 If your 2019 goal is to get your health back in check, know that while diet and exercise are important, visiting your doctor for an annual exam is one of the best things you can do for your overall, long-term health. Below we’ve listed the top reasons to schedule an appointment with your doctor this year. An annual appointment gives your doctor the opportunity to detect potential health problems. Regular check-ups often include basic blood work and other lab tests which can reveal problems that may have otherwise flown under the radar. High blood sugar or a hormonal imbalance may not present itself with serious symptoms until years down the road. But with regular lab workups, your doctor can catch issues early. Once your health risk is defined, your doctor will be able to schedule follow-up appointments and create treatment plans accordingly. Check-ups are a crucial part of any good preventative health care plan. During regular check-ups, you and your doctor should determine what other steps should be included in your preventative health care plan. Steps will depend heavily on your health risk, age, and family health history. Hey guys! We created a men’s guide to healthy aging in an effort to help you stay on top of when screenings, vaccinations, appointments, and other preventative health care measures are necessary. Download your copy of our Man-To-Man Guide On Healthy Aging. Having a doctor you see regularly means establishing a relationship with someone who will know your medical history inside and out. Someone who will be able to work with you to shape your healthy present and future. Someone who will know your case from start to finish. If you avoid seeing a doctor, you’ll miss out entirely on this beneficial relationship. What are you waiting for? Get an appointment on your doctor’s calendar. Renewing prescriptions often requires your doctor’s approval–approval they will only give after a check-up. This is because they want to ensure your medical problems are being treated right. Our bodies are always changing. A medication that once helped you, may eventually become ineffective. Your body is becoming immune to a medication. There is no longer a need for you to be on a medication. There is a new (sometimes better) medication on that market–something you may only learn about from your doctor. Your body is lacking something you could get from adding a supplement. Many people avoid seeing their doctor because they’re afraid something might be wrong. If you ask us, this is even of a more of a reason to visit your doctor. Your annual appointment is a good time to ask your doctor questions about any health concerns. Prepare a list of medical questions you have before you head into your appointment so you don’t forget them. Include anything you want to know, even the things you feel silly asking and things you’ve associated with aging. The longer you wait to have your suspicions either confirmed or denied, the longer you’ll spend stressing about what could be nothing (or at least, something treatable!). Take our word for it, addressing a health concern with your doctor early on is for the best. Personal health goals can be difficult to create without guidance. Sure, you can find a lot of information online, but who’s opinion can you really trust? Your annual check-up is the perfect time to establish tangible health goals whether they are related to fitness, diet, stress, sleep, or habits. Your doctor can help you customize a plan based on your health history and current conditions. The benefits of a visit with your doctor go beyond the medical check-up side of things. A visit with your doctor is also your opportunity to tap into your doctor’s wealth of knowledge and connections. Your doctor can refer you to professionals who specialize in everything from mental health to nutrition. So, you see now that the best way achieve good health in 2019 starts with a physical exam. At the Urology Specialists of the Carolinas, we are huge advocates for proper nutrition and healthy lifestyles. We gathered together our top tips and tricks for achieving and maintaining optimal urological health. Our Nutrition and Lifestyle Guide will provide you with an understanding of the impact your nutritional and lifestyle decisions can have on your general and urological health, plus much more. Click to download your copy of the guide.